This Nut Allergy Alert poster alerts others to your ‘Nut Free Zone’ with a ‘Please do not bring nuts into this area’ message! Bright colourful poster designed to be noticed to help safeguard your child! You can hang this food allergen poster almost anywhere. 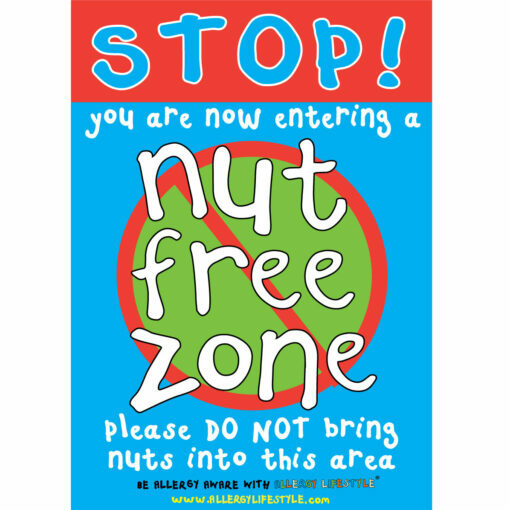 You can hang them on doors/walls at home, school, nursery, childcare or any place where you need to remind people that they are in a nut free zone. 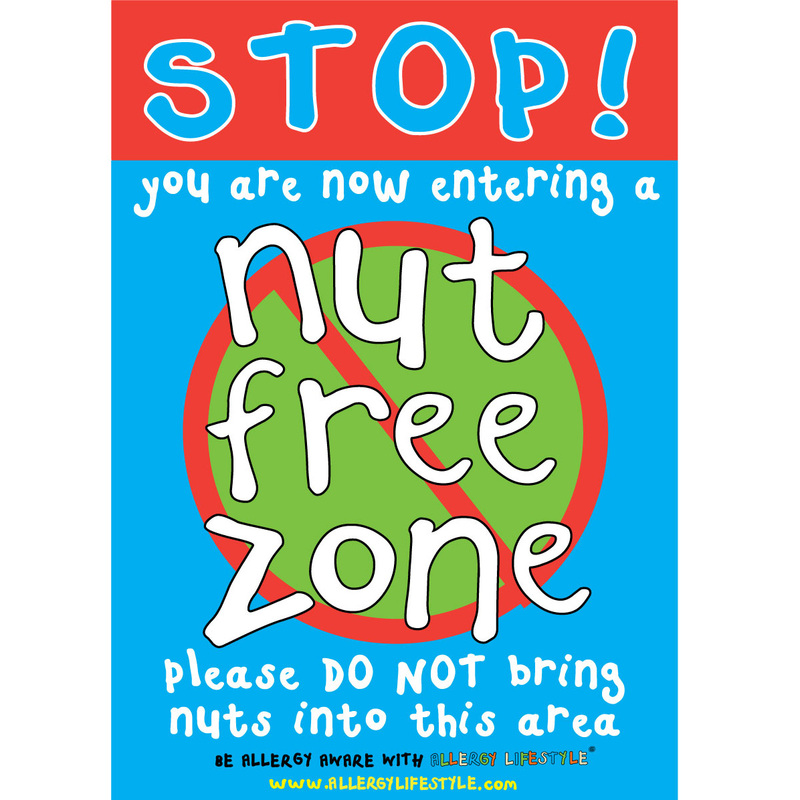 Poster clearly alerts others to ‘Nut Free Zone’ with ‘Please do not bring nuts into this area’ message! Available in A4 and A3 gloss card. A4 poster is 21 x 29.7 cm. A3 poster is 29.7 x 42 cm.